Letter grades were first used in the United States in the last part of the 19th century. Both colleges and high schools began replacing other forms of assessment with letter and percentage grades in the early 20th century. While grading systems appear to be fairly standardized in the U.S., debates about grade inflation and the utility of grades for fostering student learning continue. Universities have always evaluated students, but the modern grading system did not always exist. 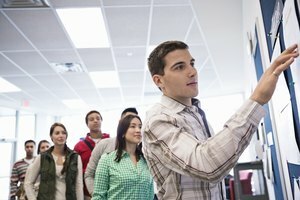 In fact, in the 18th century, there was no standardized means of evaluating students, and certainly no means by which student performance at one institution could be easily compared with student performance somewhere else. One of the first instances of an attempt to evaluate students systematically appeared in the diary of Ezra Stiles, who was president of Yale University in the 18th century. In 1785, he divided students who were present for an examination into four ranks or grades: optimi, second optimi, inferiores and pejores--Latin terms indicating relative quality, best, worse and worst. It was also at Yale University that a system resembling our current grading system was first used. In the first quarter of the 19th century, Yale kept student information in what it called a Book of Averages; this book also sometimes discussed rules and procedures for setting down exam results. The book mentioned the practice of recording an average of each student's marks--a procedure still used in figuring course grades--and also mentioned marking on a 4-point scale. While there is no mention this early of the letter grades we know today, the 4-point scale is probably the precursor of today's grade point average. Numerical scales also were used elsewhere, but they varied by institution. 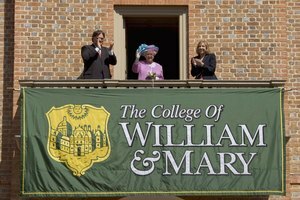 College of William & Mary used a 4-point scale, with 1 as the best and 4 as the worst. Harvard College used both a 20-point and a 100-point scale. Yale apparently experimented briefly with a 9-point scale before returning to the 4-point scale. In the last half of the 19th century, colleges continued to experiment with various scales for evaluating students and also for grouping and classifying them. Some systems functioned by evaluating students individually. For example, the University of Michigan's marking system in 1895 provided students with one of five marks on exams: passed, incomplete, not passed, conditional or absent. Other systems were attempts to rank or order the entire student body, or all students in a class, by placing them into categories, divisions or percentages, such as Harvard's 1877 system that placed students in one of six "divisions" using a grading scale of 100--Division I was students earning 90 to 100 on the evaluation scale. These systems might not have averaged student performance to create comparative ranks, what we call grading on a curve. It was in 1897 at Mount Holyoke College that letter grades tied to a numerical or percentage scale were first used. The college awarded students in percentages 95 to 100 an A, 85 to 94 a B, 76 to 84 a C, 75 a D--the lowest passing grade--and anything below 75 an E, which indicated a failing grade. Our modern F grade was not used, but this system was the beginning of the relatively standard grades we see today. It was in the first part of the 20th century that American elementary and high school education also began using standardized grading systems. This period coincided with a substantial increase in the number of students; compulsory-attendance laws had been passed during this period, and the number of public high schools increased from 500 to 10,000 between 1870 and 1910. These changes made the use of written, descriptive reports less feasible, and high schools increasingly began using both percentage and letter grades to evaluate students. In 1912, Daniel Starch and Edward Charles Elliott, two researchers from Wisconsin, examined the reliability of percentage grades and found that there was immense variation from teacher to teacher in both the criteria used to assign grades and the grades themselves. This variation, and the desire for more standard grades, led to an overall move away from point scales with a large range to the smaller types of grade scales we know today. While grade scales in the U.S. are fairly standard, debates and questions about grading continue today. There are similar questions about variability, because grading can be a subjective process, as well as more philosophical questions about the relationship of grades to learning. Finally, even the grade scale itself is not exactly the same at all schools. One of the largest concerns about variability is grade inflation, the phenomenon in which average grades at private schools are higher than at public schools. While some claim that this discrepancy is caused by private schools' greater selectivity in admissions, implying the student body is smarter at private schools, data collected by Stuart Rojstaczer show that even when schools have the same degree of selectivity, private schools have higher grade point averages than public schools. Faculty members such as Harvey C. Mansfield have publicly complained about the pressure to raise grades beyond what is deserved. One reason for grade inflation is probably pressure from students who are concerned about their grades and their future career prospects. Educators worry that grades can make students more focused on credentials and less on actual learning. 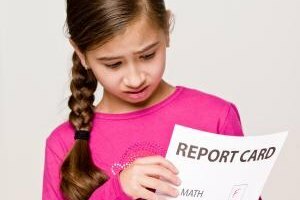 It is also the case that grades can take the place of more substantive and individualized assessments; there are many ways of diagnosing whether students are learning, and grades are not always the best method. There is also some debate about whether the practice of grading on a curve is useful in fostering or assessing student learning. Finally, while it is true that a standardized grading scale can be necessary in a world in which students move from school to school and state to state, our grading scales are not as standardized as we think. 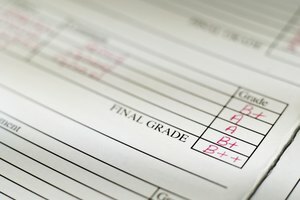 In addition to variations in grade inflation, meaning the same student might receive different grades at different institutions, schools also vary in their use of the plus and minus system, and some use a point system rather than letter grades. Lassahn, Nicole. 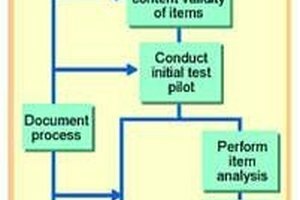 "History of Grading Systems." Synonym, https://classroom.synonym.com/history-grading-systems-5103640.html. Accessed 18 April 2019.